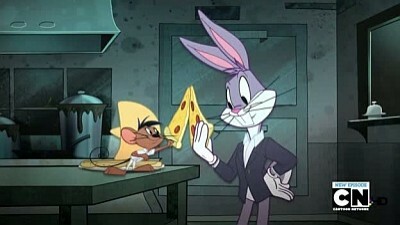 Bugs Bunny recaps the time on how Speedy Gonzalez started Pizzariba. It started on the day a pizza restaurant named Girardi's closed down when Mr. Girardi made his fortune and retired. Bugs Bunny takes action by buying Girardi's and ends up getting help from Daffy, Porky, Marvin the Martian, and Pete Puma. When things start to get difficult for Bugs, he ends up calling in Speedy Gonzales for help. Merrie Melodies: "Daffy Duck the Wizard" featuring Daffy Duck. Featured vocals by Damon Jones and Jeff Bergman. 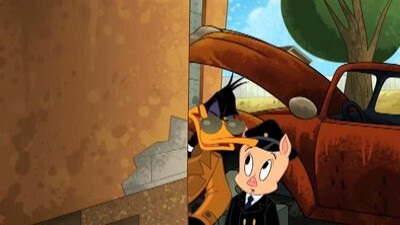 CGI Wile E. Coyote and Road Runner short: "Go Fly a Coyote"
Daffy assumes the identity of a TV cop. Wile E. Coyote and Road Runner short: "Butte E. Fall". The neighborhood’s most annoying bachelorette Lola Bunny ends a bidding war for Bugs when she puts $100,000 on the table. She flies Bugs to Paris to see the Louvre, Eiffel Tower and Versailles, hoping the City of Lights will lead to amour. Daffy is a much cheaper date, and Granny bids on him so she can have some help cleaning her attic. She regales the reluctant duck with tales of her time in Paris during World War II where she and Tweety clashed with the Nazi Colonel Frankenheimer. Daffy is riveted by this discovery. CGI Wile E. Coyote and Road Runner short: "Winter Blunderland"
Thanks to Pete Puma's bumbling, the vicious Tasmanian Devil escapes from the zoo and Bugs (mistaking the ravenous beast for a dog) decides to adopt him. This causes constant terror for Daffy and Bugs' other neighbors, until Speedy helps Bugs tame the Tasmanian for the upcoming dog show. When Daffy mistakenly tries to save Bugs by reporting the Tasmanian to animal control, he ends up helping the two escape so Bugs can take him home to Tasmania. 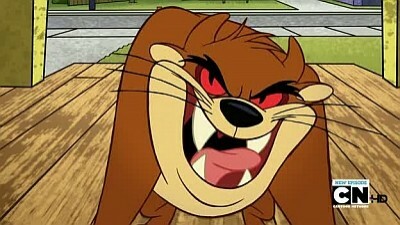 Despite this, Taz decides to stay with Bugs. By the end, he has abandoned his murderous instincts in favor of his familiar zany behavior. CGI Wile E. Coyote and Road Runner short: "Unsafe at Any Speed"
Daffy is attempting to win a bowling tournament with Porky, Marvin and Pete. But when Bugs shows up the others favor him over Daffy, so he tells him to go away, but after Porky gets injured (by Daffy using him as a bowling ball) Bugs must take his place. 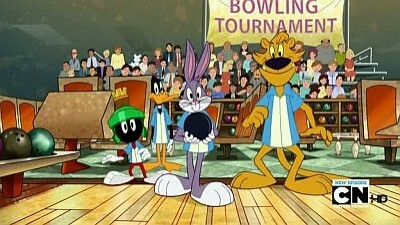 Daffy's team are in the lead but when an injury (faked so Daffy can get the final two pins needed to win) leads to Bugs droping out, Can Daffy get the final two pins in order to defeat his nemesis Terry? Merrie Melodies: "Yellow Bird" featuring Tweety and Sylvester CGI Wile E. Coyote and Road Runner short: "Vicious Cycles"
Following a trip to the mall where Bugs opts to purchase both a big screen television and a massage chair, Daffy decides that a good invention is the perfect get-rich scheme. He gets to work in the garage, “inventing” items that have been around for ages. 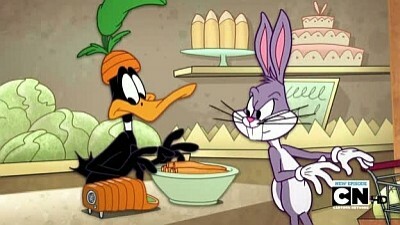 Since inventing is such hard work, Daffy goes for the quick and the dirty, stealing an idea from Bugs’ notebook. He rakes in plenty of money at first, but when public complaints about the new invention rise and threaten both their lives, Bugs must invent a way to get them both out of a huge mess. 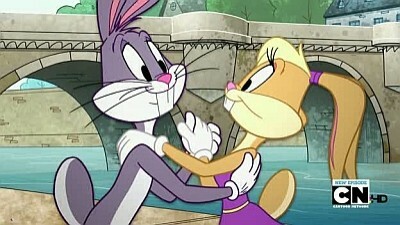 Merrie Melodies: "We Are in Love" by Bugs Bunny and Lola Bunny CGI Wile E. Coyote and Road Runner short: "Heavy Metal"